The Public Debt Management Agency of India Bill seeks to take away the debt management function from the Reserve Bank of India (RBI) and assign it to an independent agency. This will eliminate one of the many conflicting interests of the central bank and is in keeping with the best practice scenario offered by the most recent studies on optimizing the role of the central bank. If RBI has to efficiently perform its investment banking function for the government, it has to sell bonds at high prices. This obviously means that it will have a bias towards keeping interest rates low when performing the monetary policy function. Then, there is the issue that even if a separate department with the requisite “firewall" conducts debt management within the central bank, the market will still suspect the influence of inside information on interest rates. Total separation will provide the central bank with necessary independence in monetary management and an environment to pursue an inflation target, if assigned by the government. The Securities and Exchange Board of India (Sebi) has shown the way forward on the issue of conflicting interests in market regulation. Sebi is pure regulator and does not trade on the market nor does it run an exchange or a depository. Hence, shifting the regulatory functions of the bond market and the currency market to Sebi will create a regulatory architecture that is as good as that of the equity market. It will also help break down the “silo structure" of Indian finance where financial firms working on the equity market are blocked from participation in bonds and currencies and vice-versa. This will lead to the emergence of economies of scale and scope and improve competition. There are other conflicts of interest owing to RBI exercising banking regulation as well as supervision. Bonds could be sold more effectively for the government by distorting rules for banks. Alternatively, if banks are poorly regulated and are carrying maturity mismatches and thus interest rate risk, the monetary policy function of RBI might be loath to raise rates since this would make life difficult for these banks. Sometimes, the costs of implementing monetary policy are borne by banks (e.g., raising the cash reserve ratio, or CRR,—which harnesses powers amassed in the name of banking supervision—when monetary tightening is desired, thus placing the costs of monetary tightening upon banks). Sometimes, banks benefit from the use of levers of monetary policy (e.g., keeping interest rates low so as to ensure that banks with interest rate exposure do not go bankrupt). Banking regulation and supervision, hence, should be separated into a banking regulatory and development authority which should also takeover regulation and supervision of all deposit-taking institutions. This will help RBI focus on monetary policy. Monetary policy itself needs to be freed from the election cycle. As long as RBI is subservient to the ministry of finance, interest rates will tend to be too low in the run-up to an election thus fuelling inflation. There is now ample evidence that independent central banks deliver better monetary policy which is much more stable in nature and helps in lowering inflation. However, independence also requires fresh effort to infuse greater transparency. In one study on the subject, Nergiz Dincer and Barry Eichengreen put together a cross-country index measuring central bank transparency in which New Zealand, Sweden and the UK rank 12 or higher and, at the other end Saudi Arabia gets the lowest score of zero. (see Central Bank Transparency: Where, Why, and With What Effects?, 2007, National Bureau of Economic Research Working Paper No. 13003). In that study, India with a score of 2 fares rather poorly. According to the report of the committee on financial sector reforms, although some improvements were initiated in response to such concerns, there are still lingering apprehensions about RBI’s transparency, especially when compared with the international best practices. The report recommends more regular policy meetings on a pre-announced schedule since it would be helpful in giving markets a direction at predictable intervals. 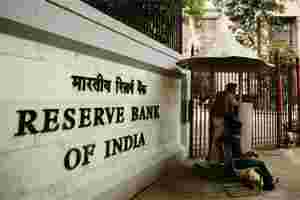 For more effective communication, RBI could provide more information to the public about its forecasting and simulation models, which could in fact be useful for the central bank in getting feedback from the academic and market communities that could help improve the models. These steps will not only enhance credibility of RBI but also of the government. Rohit Viswanath is project associate, strategic and economic capacity building, Indian Council for Research on International Economic Relations (Icrier), New Delhi.